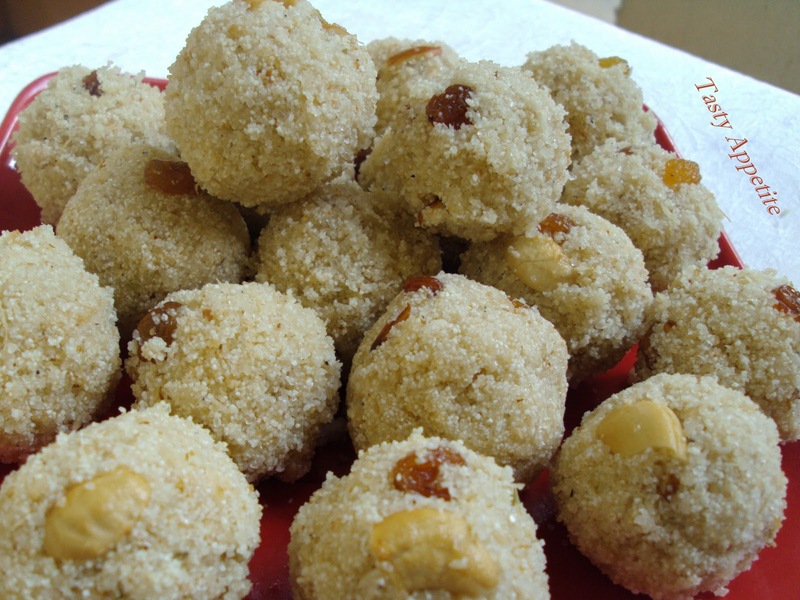 Rava Ladoo is a very popular Indian dessert made with semolina and coconut in ghee. 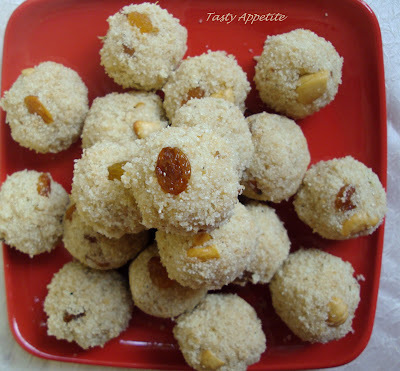 This melt in the mouth recipe is very easy to prepare and this is one of the traditional and simple sweet that is prepared mainly at many households for Diwali festival...! Here is the delicious recipe just for you…! Heat 2 tbsp of ghee in a frying pan. 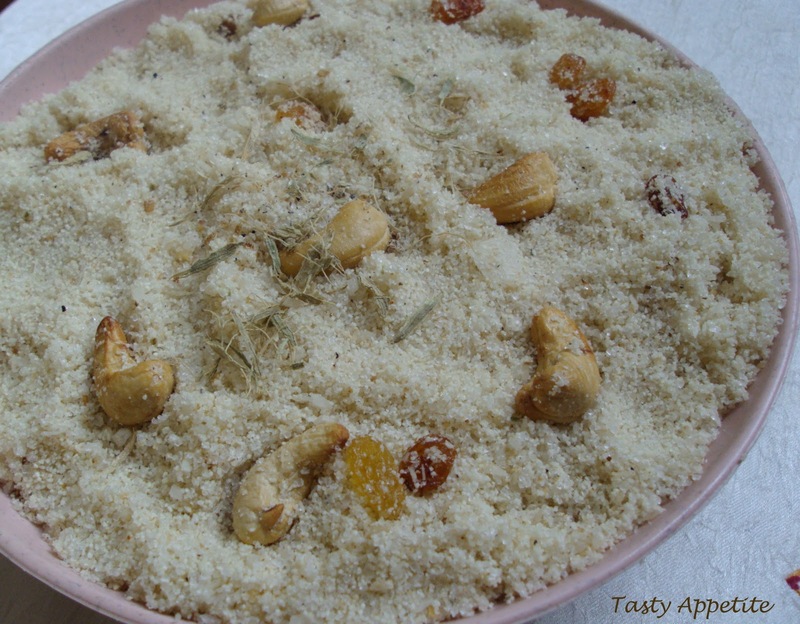 Roast cashew nuts and raisins to golden. Roast grated coconut in simmer for a minute. Take sugar in a blender and grind coarsely. Add the remaining ghee in the frying pan. Add rava and roast till rich aroma starts coming out. Once done, add sugar pwd, stir well for a minute. Add roasted cashew, raisins, coconut flowers and cardamom pwd. Add 2 tbsp of warm milk. Combine and check you can make small balls out of the mixture. If needed add 1 more tbsp of milk. Turn off the flame, cover and let it cool for 2 mins. Then, immediately make balls out of it. My all time favourite, feel like grabbing some.. I love them... so yummy! Laddoos look delicious..love the addition of dry fruits! you are totally in the festive mood Jay...made awesome laddos. 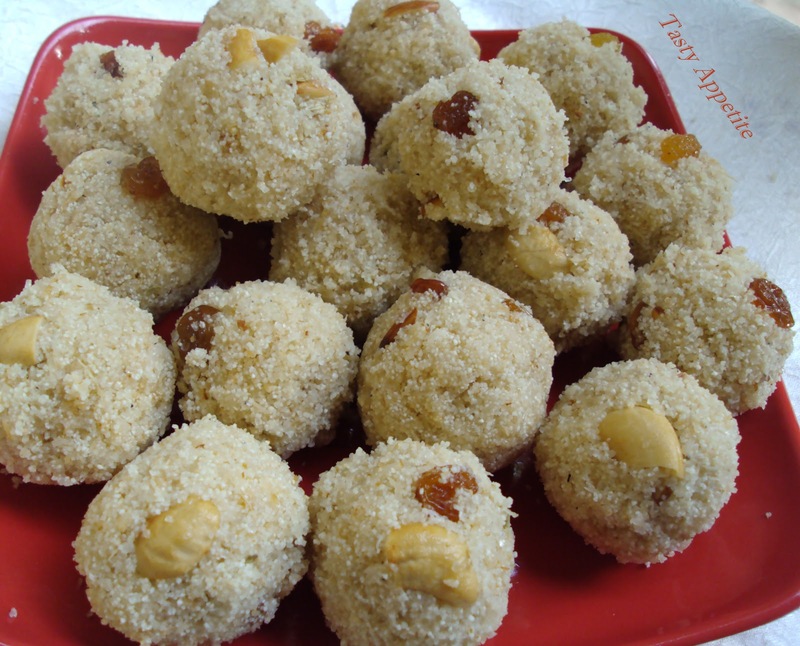 RAVA LADDU looks very yummy. Festive n delicious..awesome recipe Jay! 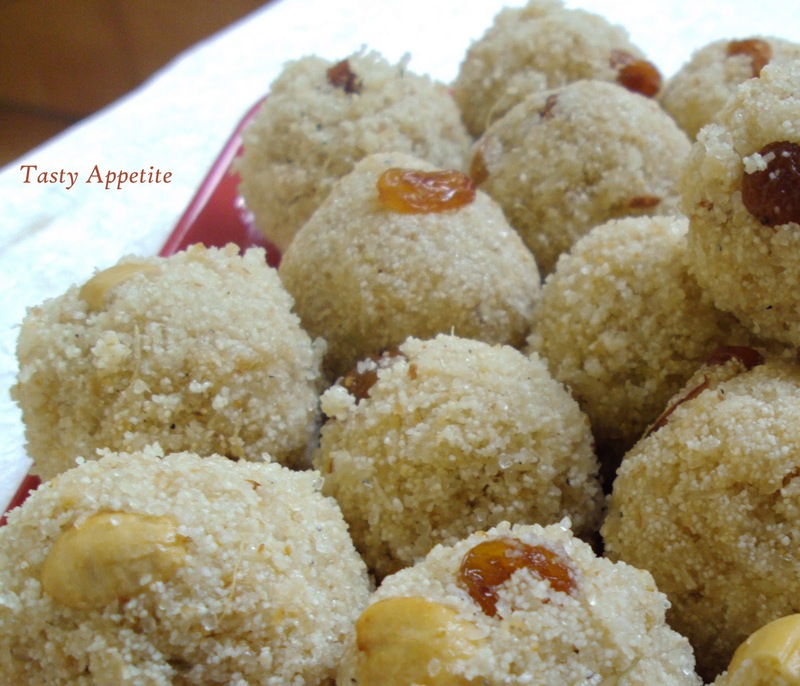 perfect round ladoos.. very well explained.. Awesome! !Lovely clicks.These are my fav.yum! Yummy laddus..Great recipe and pictures, Jay..
looks so yummy..can't stop myself making this recipe..